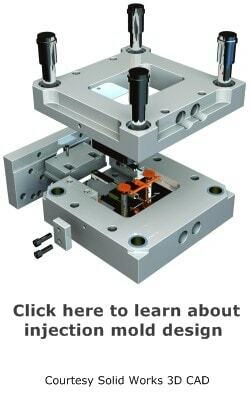 Plastic injection mold making shops that have included a CNC lathe in their arsenal of precision CNC machining have a real advantage over the competition. Unless your volume is very low, or you just do not use many round components, it is well worth your time to investigate this powerful tool. In a similar manner as the wire EDM, the CNC lathe has more mold making applications that first meets the eye. Copper and graphite electrodes, core pins, mold base components such as interlocks, and inspection gages are just a few of the many things the CNC lathe excels at. 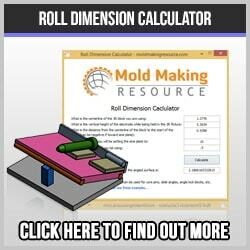 This has caused the turning center to become an important part of the mold making process. My first experience with a precision turning center involved a core block for a police car lens, you know, the kind you don’t like to see flashing in your rear-view mirror. I had the task of figuring out how to manually turn the many geometric facets that reflect the light. I was not looking forward to the task. Luckily for me the CNC department leader approached and informed me that he would be machining this rather complicated core block on the the lathe. Keep in mind, this was a long time ago, long before the computerized CNC method of mold making was standard practice. In fact, we did not actually have a computer, just a primitive Tandy gizmo of some sort that the leader used to program the CNC. I have no idea how he did it so fast, but in a few hours he returned with a completely finished core block, including the threaded area. I was impressed and relieved. The mold making process continues to experience a global push to use more and more production like methods and successful mold manufacturers are embracing this change completely. It is safe to say that, except for very simple, small injection molds, the one or two man shop is a thing of the past. When contemplating purchasing a sophisticated machine tool it is crucial to include the accessory tooling. It makes no sense whatsoever to spend so much money and skimp on the tooling, yet this happens all the time. I have worked in a shop where the lathe operator was limited to almost no tooling and he had to spend many, many hours tweaking in his projects. He was incredibly skilled, but very slow! 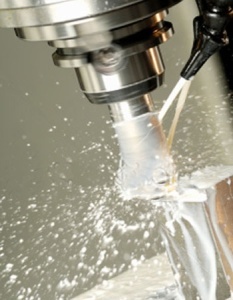 Here is a link to learn more about CNC lathes, hard machining, live tooling and more. Most mold shops do not have a CNC lathe with live tooling, as this is more of a production tool, but those that have one are capable of producing high quality mold components very quickly and accurately. The capabilities of these machines boggles the mind. Imagine how much time and effort could be saved if you could manufacture all those round electrodes on a CNC lathe! The hours spent indicating a spin fixture for the surface grinder, the manual labor required to produce multiple copper and graphite electrodes could all be minimized by using this amazing machine tool. With the proper EDM tooling, you can easily maintain the close tolerances required for precision EDM electrode manufacturing. Your toolmakers can be put to better use as well! Plus, the programs can be saved, or easily re-written, in the event that you need to make them again, later on.